Stuck outside your locked car as you forgot to take the keys or bring them with you? Need to reach somewhere and take back control of your car at the earliest? Car Keys Pro has just the solution for car unlock you need. If you realize that you have forgotten your car keys in the cabinet, the dash or at home, you need not worry as your car can still be unlocked. Just by using some lock picks or tools along with our exceptional skills and knowledge, we at Car Keys Pro ensure that irrespective of your mistake, you get your car unlocked as soon as possible at an entirely reasonable cost. We provide round the clock assistance for car unlock whenever and wherever you require. We do not replace the keys, saving you a lot of money as well as efforts. We do not use any forced entry method to unlock your car. We use skills as well as top unlocking picks and tool to neatly unlock any car, irrespective of its make. We are completely transparent in our working and being skilled, we never let you down. Unlike other car unlock service providers, we at Car Keys Pro know our way around with all lock types and locks of several different makes of cars. Without using heavy procedures that might cost you a fortune, we get your car unlocked in least possible time. Car door lock not working? You lost your car keys and have the replacement made and stored in the dash. You locked keys in car inside before going for shopping. You left the keys inside while trying to jumpstart the car. Your car’s electronic lock system malfunctioned. We at Car Keys Pro understand that this is a common mistake which is why we advise all our clients always to keep a replacement of their ignition key handy or at least stored in a safe place of their knowing. This way they can unlock the car if the worst ever happens. However, if you do not have a spare key or have the extra keys locked in car as well, our trained technicians can get your car unlocked in just a few seconds. By using both conventional methods and the new tools (including picks), we can open any old car in no more than few seconds. Might take longer in a case of new vehicles only! 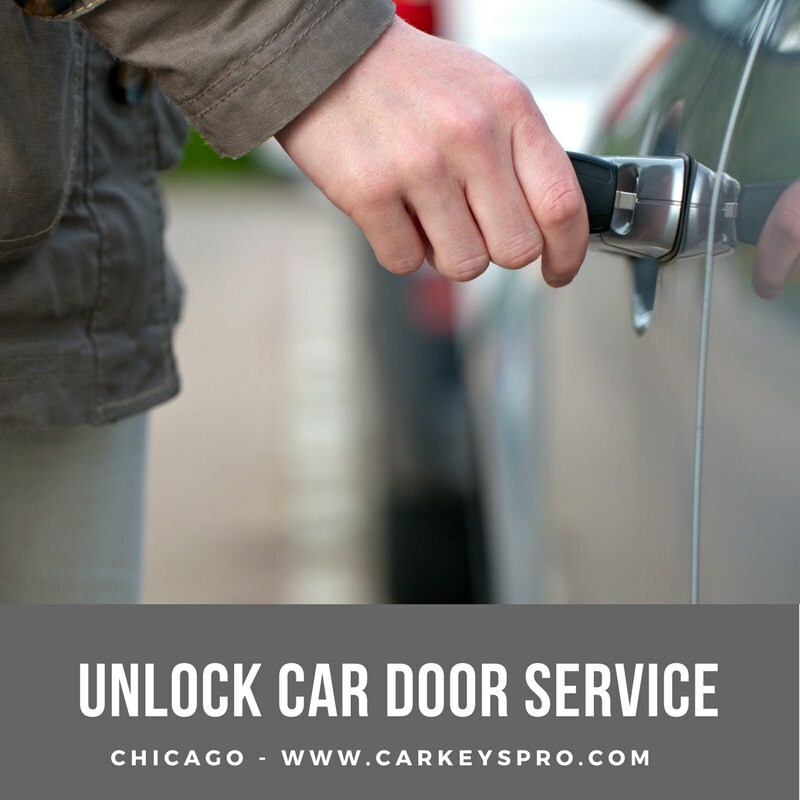 If you are stuck with a locked car around Chicago with no way to gain back the entry access to your vehicle, call Car Keys Pro for immediate assistance. Our technicians will arrive at the earliest possible time to help you unlock your car without any hassle.